At the true beginning of the modern computing industry, when general access to computers first came within reach of small businesses and individuals alike, there often was a key phrase in the user agreement / contract of sale. “The software is sold as is, without any implied guarantee of merchantibility or fitness for any particular purpose.” While such crisply specific denials of any guarantee or responsibility for product suitability or value have mostly and quietly faded from view in the traditional perpetual-license market, the unspoken burden of responsibility for successful installation, implementation and use of the perpetually-licensed product still rests firmly on the shoulders of the customers. In the SaaS/Cloud sector, however, a new reality is becoming apparent. When the bulk of the profit from a customer must be earned incrementally over time instead of taken up-front at the initial sale, the longevity of the customer relationship is a critical factor in corporate profitability. Being successful as a software company increasingly requires that SaaS vendors must look beyond making technology sales, to where they must directly involve themselves with the success of their customers as well. Savvy sales teams have long known the importance of directly asking if the prospective customer has secured a budget allocation as a means of differentiating real prospects from the less likely. The horrendous failure rate of CRM implementations industry-wide prompted the Sales group to begin to ask another vital question of their prospects as well: How will you define ‘success’? What metrics will you use? Variations of these and related questions show a growing awareness of the risk of what used to be called “shelf-ware,” software that was purchased but never actually used, to not only the customer but now to the vendor as well. In the subscription-model era, where it can take as long as a year to recoup the customer acquisition cost, the failure to renew a contract can instantly turn a previous sale into a complete loss. Change, however, does not come easily. Traditionally-trained Sales teams, in particular, know very well how to sell features and claimed benefits to new prospective customers. Retaining those customers over the long term by actually guaranteeing and delivering on those promises is another, and much more challenging, issue, one that takes a lot more time and direct involvement with the customer’s business. It also requires a significantly different set of skills, performance metrics, career-paths and individual compensation programs. With the steadily growing concern about customer retention in the ecosystem, Saas/Cloud vendors have taken different approaches to the problem. Some have created Customer Retention roles in their organizations, assigning ”fire-fighters“ to salvage at-risk accounts. Usually reporting to the Sales executive, sometimes the Retention manager is also asked to study trends in the hopes of developing some early-warning signs. The SaaS & Support Project research, however, indicates that trend analysis is unfortunately generally a small part of the job. The ‘fire-fighter’ Retention role is predominantly reactive in nature, and accordingly likely to be less effective. Other SaaS vendors, in a more proactive stance, have begun to take a closer look at the connection between product implementation and customer longevity. Several firms have privately told me of finding that if the implementation and customization of the product was handled by the vendor’s own Professional Services team or that of a specialist implementation-integration firm, the customer is significantly more likely to renew their subscription than if the initial work was done by the customers’ own IT resources. Getting the application well-implemented, however, is only a very first step towards ensuring the customers’ chances for success. Opening the Door to a New Profession? What will it take to comprehensively address the customer retention challenge in the SaaS/Cloud industry? Before the issue of how to define and bring a new kind of professional into being can be authentically considered, the vendors must first clearly understand that they are dealing with a systemic problem that will not go away on its own. So far, the infusion of VC money and the lack of direct and equally competent competitors has allowed many vendors to focus themselves and their organizations only on making new sales and building market share. Keeping that market share and their customers has been largely assumed as something the Sales or Support departments will attend to as a corollary duty. 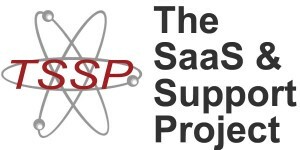 Here, too, The SaaS & Support Project research has shown that such assumptions are dangerous. The unfortunate, and unnecessary, result is almost certain: lost profits and damage to your brand. What is the actual customer retention rate for your company? At what point in the typical relationship with your company is the customer most at-risk of departure? What is the single greatest cause of churn in your customer base? What would just a 10% improvement in customer retention do for your corporate bottom line? 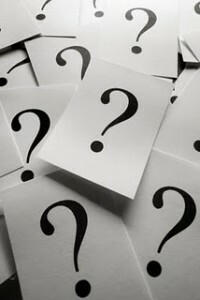 If the answer to these and related questions aren’t known, it’s time to find out. If you’re as concerned about customer retention as you should be, getting accurate data is the starting point. To start that process, let’s talk.